When you stay at Malaga 101846 3 Bedroom Holiday home By Mo Rentals in Almachar, you'll be 7 minutes by car from Church of La Incarnation. With a stay at El Invernal de Picos in Portilla de la Reina, you'll be in a regional park, and 11.9 mi (19.2 km) from Museo Etnografico Montana de Riano and 12.1 mi (19.5 km) from Parroquia De Riano. With a stay at this villa in Calpe, you'll be within a 5-minute drive of Mirador Monte Toix and Cala Les Urques. Free self parking is available onsite. With a stay at this villa in Murcia (Pedanía de Baños y Mendigo), you'll be minutes from El Valle Golf. 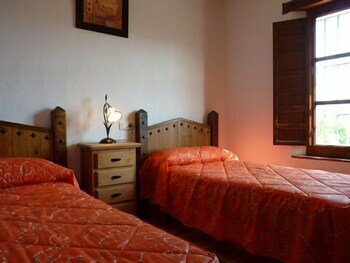 A stay at Hostal Bellas places you in the heart of Avila, steps from Plaza Mercado Chico and Walls of Avila.